HCL Technologies today posted a 9.8 per cent decline in its consolidated net profit for the March 2018 quarter at Rs 2,230 crore and said it expects to see a better deal pipeline in FY19, driven by digital services. The net profit is lower from Rs 2,474 crore reported in the year-ago period (as per Indian Accounting Standards) as there was a one-time benefit from tax reversal in the January-March 2017 quarter. 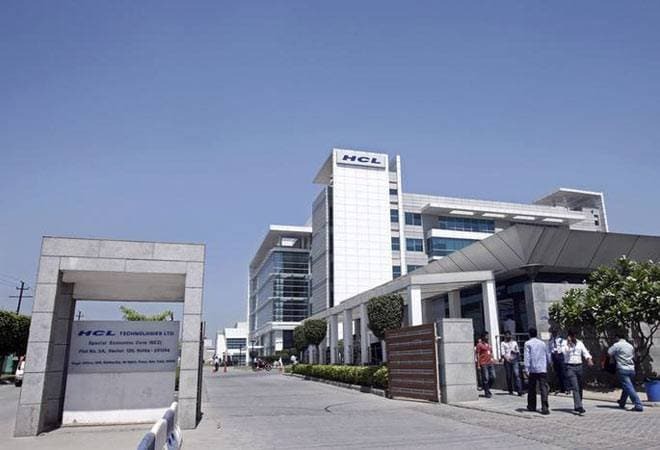 HCL Technologies, which is India's fourth largest IT services firm, saw its total income grow 2.2 per cent to Rs 13,480 crore in the March 2018 quarter from Rs 13,183 crore in the year-ago period. We had a strong performance in the quarter and year, backed by broad-based growth across verticals, robust client additions and accelerated revenues from mode 2 and 3 services, HCL Technologies President and CEO C Vijayakumar told reporters here. He added that the deal pipeline for fiscal 2019 looks similar or better than last year. However, HCL Technologies has given a slightly lower growth guidance of 9.5-11.5 per cent on constant currency basis for FY19. Shares of the company were trading 4.05 per cent lower than its previous close at Rs 1,008.85 apiece. For fiscal 2018, net profit was up 1.3 per cent to Rs 8,722 crore, while total income grew by 6.4 per cent to Rs 51,786 crore from the previous financial year. In constant currency terms, HCL Technologies posted 10.5 per cent increase in revenue at $7.8 billion for the fiscal, meeting its guidance of 10.5-12.5 per cent topline growth. Vijayakumar highlighted that the company had been investing significantly on its mode 2 (next-generation digital services) and mode 3 (IP-led) offerings for customers. In mode 2, we have invested $100 million in the last few years. Revenues from mode 2 and mode 3 offerings together grew 41.5 per cent in FY18, and accounted for 23.4 per cent of the revenues. Besides, HCL Technologies is also scouting for acquisitions to strengthen its operations. We are looking at acquisitions from three perspectives we are looking at certain geographies like Germany, Canada, South Africa, we are looking at couple of them for opportunities, he said. He added that the company is also looking for digital firms to add capabilities as well as partnerships for IP creation. During the quarter, HCL signed 15 transformational deals, led by verticals of financial services, manufacturing, public services, life sciences and healthcare. These have a healthy mix of next-generation offerings including cloud native services, digital & analytics, internet of things, autonomics & AI, cybersecurity & GRC, products and platforms. A total of 63 transformational deals have been signed during the year, he said. At the end of March 2018, HCL Technologies had 1.2 lakh employees with a gross addition of 8,476 people. Its attrition for IT services (on last 12 month basis) was at 15.5 per cent. It will roll out wage hikes from July quarter and is in the process of finalising the quantum of raise. The board of directors has declared an interim dividend of Rs 2 per equity share. HCL Technologies CFO Anil Chanana said the company has earmarked a capex plan of about $250 million. This will go towards activities like infrastructure development in Nagpur, Lucknow facility expansion, Madurai, we are setting up labs for digital. Expansion is happening in India and globally, he said. The company saw growth across verticals led by manufacturing (18.3 per cent), financial services (13.3 per cent), lifesciences and healthcare (8.1 per cent), retail and CPG (7.5 per cent) and public services (2.6 per cent) on constant currency basis. Americas grew at 13.8 per cent, Europe at 5 per cent and rest of the world (RoW) at 6 per cent.